The morning sun seen through smoke filled skies. 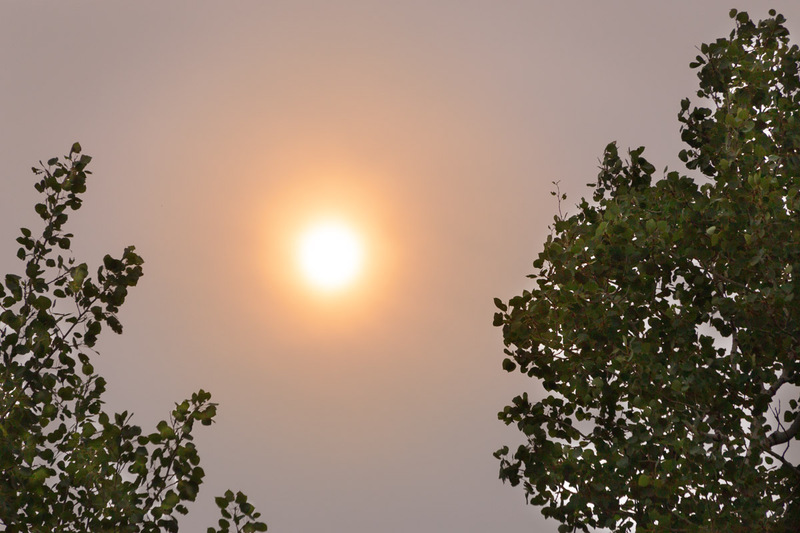 The smoke has drifted over a thousand miles from the British Columbia forest fires. I can only imagine what the skies look like there.